A new research report released today by CFO Research and sponsored by SAP shows that while Finance has improved a lot over the past years, there is plenty of opportunity to Finance to deliver more value to the organization. Finance professionals are embracing their influence in their enterprises—and looking forward to a bright future as their profession evolves. 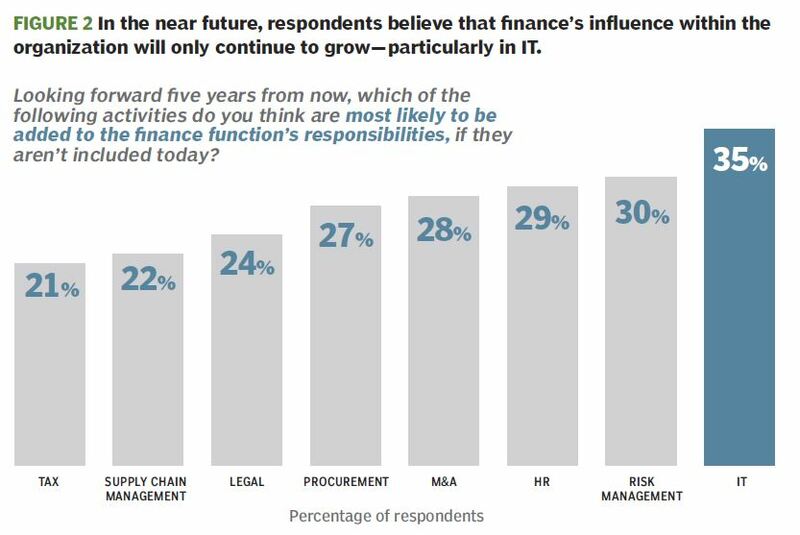 The good news is that finance professionals are more influential than ever in their organization, and have opportunities to go beyond core traditional areas of ‘old’ finance. The biggest challenge with this opportunity comes from ensuring that talent with leadership potential in finance can grow beyond the core additional areas. The organizational scope of the finance function—already broad— continues to expand to encompass risk management, IT, M&A, and other key functions. Again, as Finance becomes the central organizational address for all administrative and support functions within an organization, can the talent planning match this need? Finance teams will be challenged to fulfill their core performance management mandate in the face of rapid change and greater business complexity. High value-add within finance can only happen with the right people, processes and technologies in place, especially as business gets more complex and change continues at a faster pace. Finance professionals see the rising wave of digitalization and automation as the key to their ability to partner with the business to manage performance. In a conversation with Thack Brown, general manager and global head of Line-of-Business Finance at SAP, he said that the impact of technology opportunities (digitization and automation) will radically change how the transactional part of finance is being managed, even by those following current best practices. Stay tuned as I will be sharing parts of my interview with Thack Brown. The insights he offered were fascinating, and combined with this report, provides excellent food for thought for the CFO who is looking to be the best business partner possible to their organization.